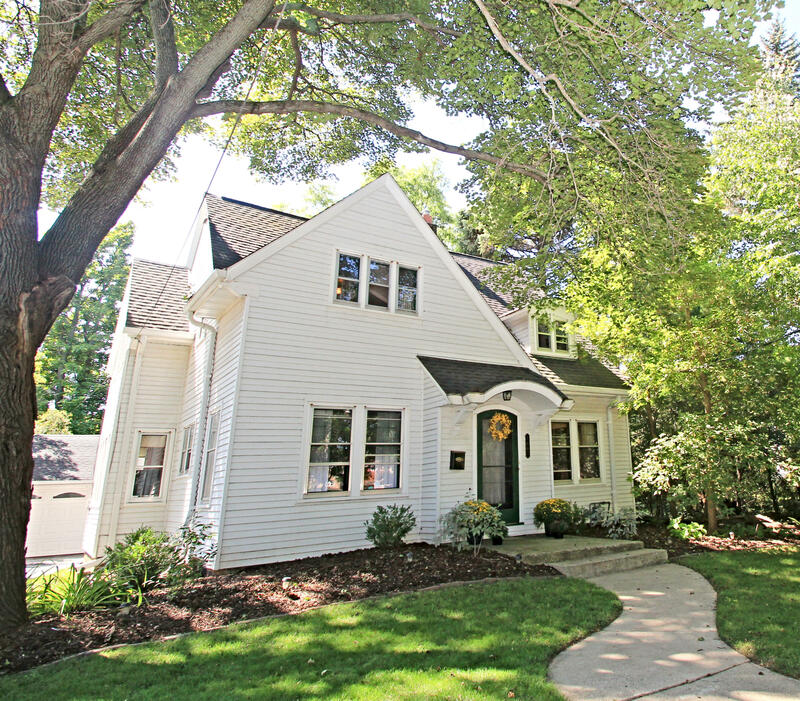 AMAZING True PARKLIKE Fenced Yard only 1 Block From Menomonee River Parkway is the setting for this Charming Home! UPDATED Sunny Kitchen w/Granite, NEWER White Cabinets, Island, SS Appls, Pantry & NEWER Picture Window overlooking HUGE Private Yard W/Fire Pit for Entertaining & NEWER PAVER Patio! NEWER Furnace & H2O Heater! Formal DR W/2 Leaded Glass BICCs & HWFs Opens to SPACIOUS Family RM W/LOTS of Windows, HWFs & PRISTINE Original Arts & Crafts Tiled AFP Surround W/BI Shelves! Leaded Glass French Doors open to Sun RM/Office/Flex Rm. Upstairs has LG Master BRM W/WIC, 2 Addtl BRMs, 1BR W/2 WIC's & 2nd BR W/Closet in Hallway! Office/Bonus/Play Rm/Nursery W/HWF's Too! Upper Full BA W/Updated DBL Vanity & CT! All this PLUS a 2.5 Car Garage! Enjoy All TOSA Has to Offer!